Stay organized with superhero style! This Wonder Woman Logo Storage Tub is perfect for storage and features interior side pouches. This handy tub is great for larger items and collapses flat for quick and easy clean up. 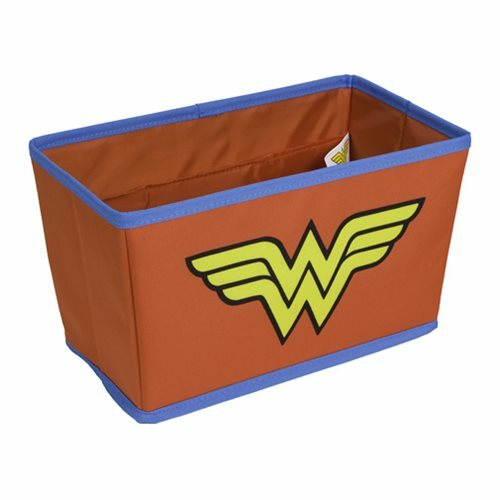 Made with durable microfiber material and Wonder Woman's iconic colors, this Wonder Woman Logo Storage Tub measures 11 1/2-inches long x 6 1/2-inches tall x 7-inches deep. Ages 15 and up.